When 2B.group were designing this contemporary apartment in Odessa, Ukraine, for their clients, they got a bit creative with the electric cord from the bedside lights. Instead of hiding the electrical cord away within the wall, they decided to make an artistic feature out of it. 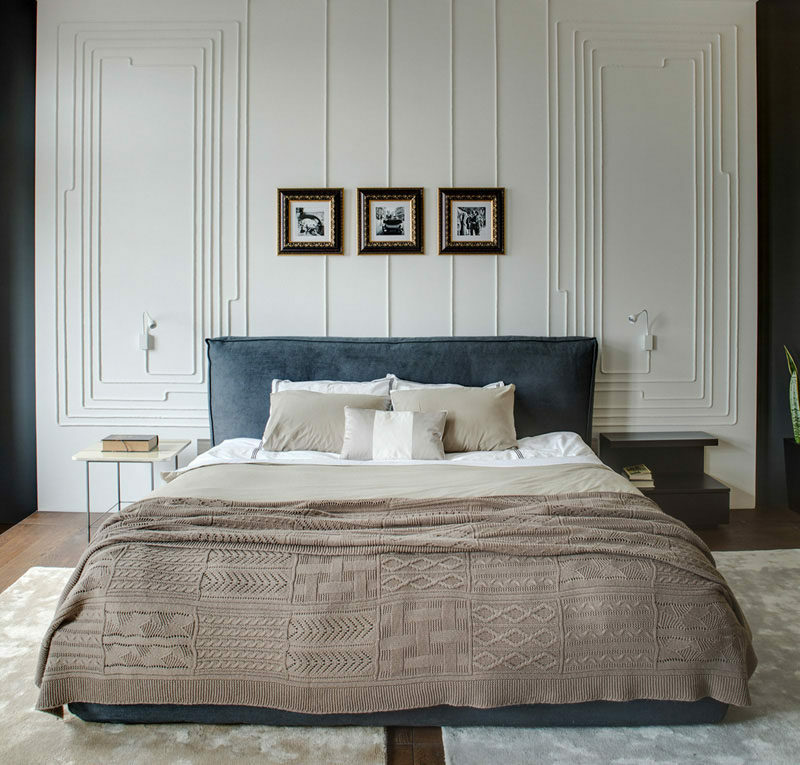 By increasing the length of cord needed, they were able to wrap it around in rectangular shapes beside the bed, appearing to frame both bedside lamps. From beside the bed, the cord then follows the wall up to the ceiling, and then along ceiling. From the ceiling it then connects with the pendant lights featured at the end of the bed.